A new grim climate report outlines how thawing permafrost combined with more heavy rainfall will trigger landslides and coastal erosion. Isfjorden (the icefjord) northwest from Longyearbyen hasn’t been ice-covered mid-winter for the last 10 years. Svalbard’s climate is dramatically changing with average temperatures already four degrees Celsius warmer today than in the early 1970s. Changes mid-winter are most dramatic. 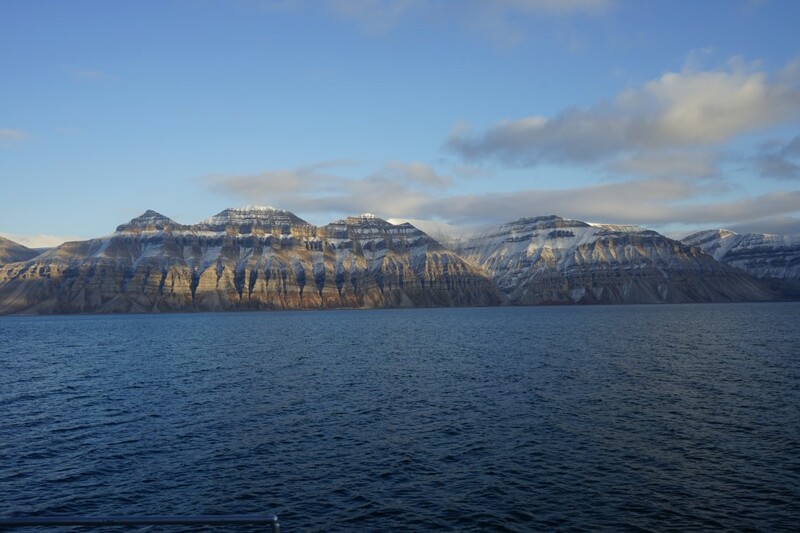 Since 1971 Svalbard has experienced a winter warming of 7ºC. And worse will it be, states the new “Climate in Svalbard 2100” report presented in Longyearbyen on Monday. People in Longyearbyen have first hand knowledge on what it means to live the what likely is the world’s fastest warming town. Houses are sagging as the ground underneath is melting. Stable permafrost is long gone for the 2,200 inhabitants up here at the world’s northernmost permanent settlement,1,300 kilometers beyond the Arctic Circle. The report, commissioned by the Norwegian Environmental Agency, concludes that under medium to high scenarios, the annual mean air temperature on Svalbard is projected to increase by 7ºC to 10ºC by the end of this century. As temperature is crossing the freezing-point, precipitation will more often fall in form of rain instead of snow. This will lead to increased rain-floods and increased combined snowmelt-, glacier melt- and rain-floods, the report outlines. Ellen Hambro, Director of the Environmental Agency, uses strong words when describing the conclusions in the report. “It is rare that I use words like this, but what happens on Svalbard is extreme. The temperature rises faster here in the Arctic than anywhere else in the world, and climate change has already had major consequences for nature, animals and the community on the island group,” Hambro says in an article posted on the agency’s portal. 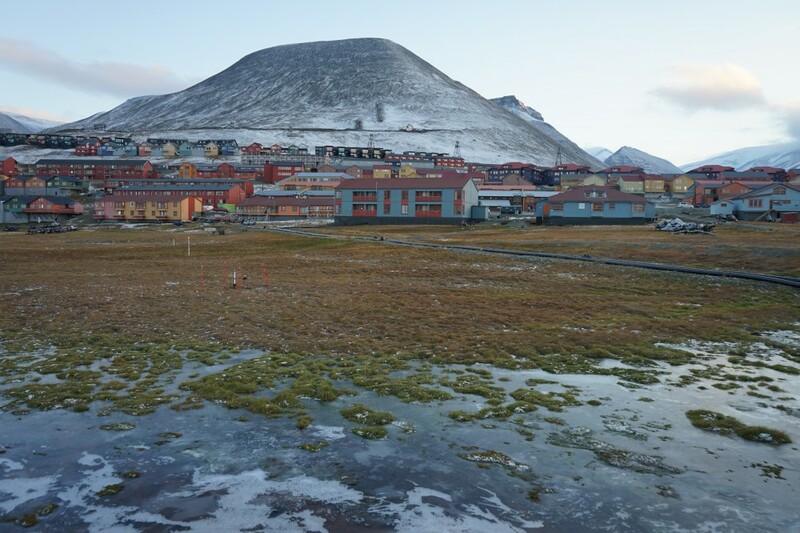 Locals in Longyearbyen have witnessed the changes with mid-winter rain instead of freezing cold several years in a row now. “Winter warms four to five times as fast as summer. We have roughly lost about two months of winter on Svalbard since the 1970’s. If we carry on with business as usual, we will lose two months more before 2100,” says Lars Henrik Smedsrud, professor in polar oceanography and one of the authors of the report. In the mountainside above the houses in Longyearbyen, a recent landslide clearly shows what happens when the permafrost melts and more rainfall is coming. “Climate change has consequences for the risks for several types of landslides and avalanches, for flooding and for coastal erosion. Changes certainly also have affected the ecosystems, though such consequences are not studied in this report,” says the head of the Norwegian Centre for Climate Services, Inger Hanssen-Bauer. This is a very extreme warming leading to completely different climatic conditions on Svalbard. The report draws a very pessimistic picture. However, we should remember that these dramatic consequences can be reduced if we manage to make a transition to an economy with less greenhouse gas emissions and if all countries may eventually follow the Paris agreement, says Stephanie Mayer, researcher in NORCE and the Bjerknes Centre for Climate Research. Can drones help prevent polar bear attacks?